(Wrapping up Independents Week…) You’re forgiven if you don’t recognize this 1953 Kaiser Dragon, as a mere 1,277 of them were produced — and I don’t imagine there are a slew of them left. Kaiser was another one of those independent manufacturers who didn’t have the cash to keep up with the innovations of The Big Three. No V-8 engine, no pillarless hardtops… Kaiser coyly called this four-door the Dragon Hardtop. 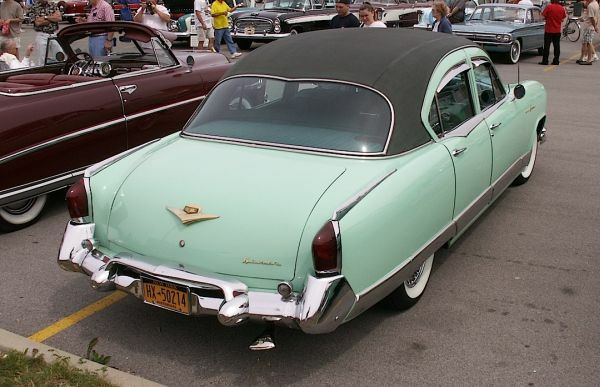 Unfortunately, it cost hundreds more than a V-8 Buick Roadmaster, so, that was that. Found this one a few summers ago at the Grand Nashional Nash/AMC car show in Batavia. Jim Corbran, RRofWNY The post RealRides Of WNY appeared first on Buffalo Cars.